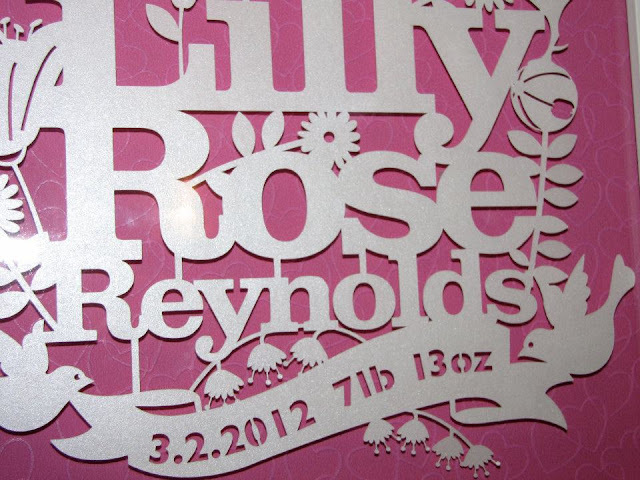 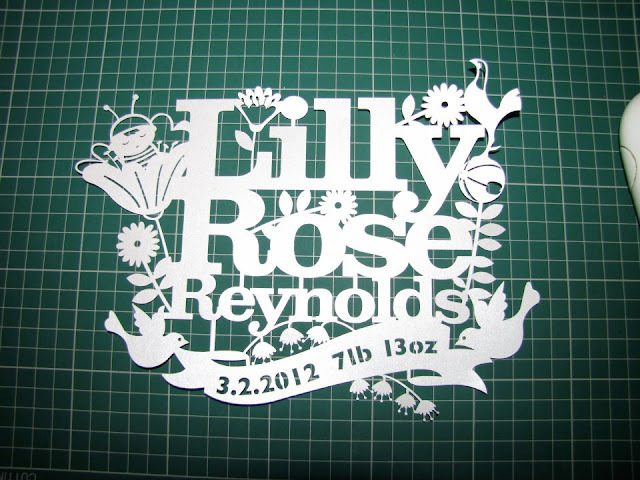 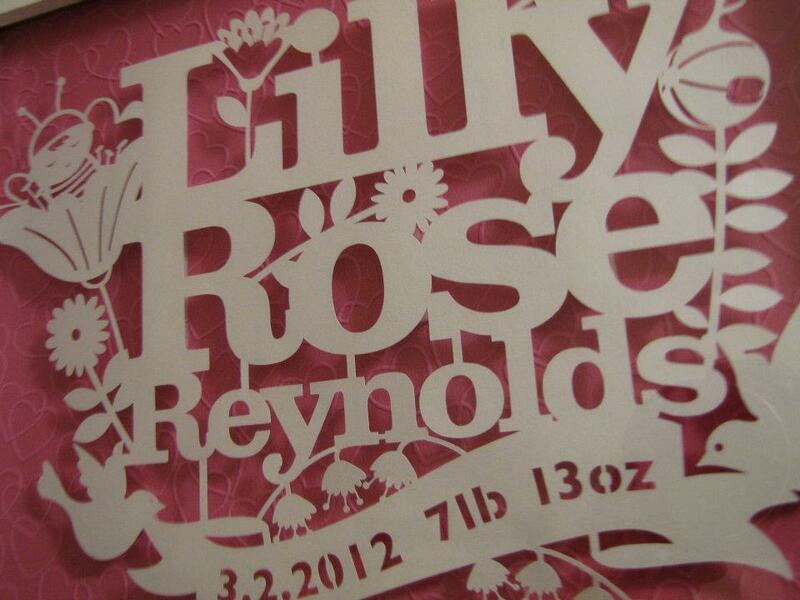 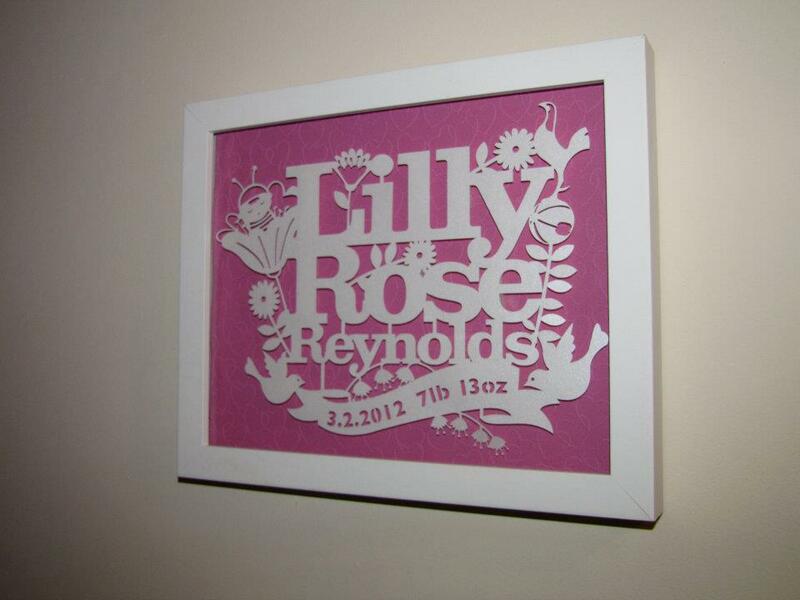 Here are the pictures of the lovely papercut I did for a little girl born only last Friday! I was requested to incorporate a Tottenham Hotspurs bird and bright pink wallpaper!! 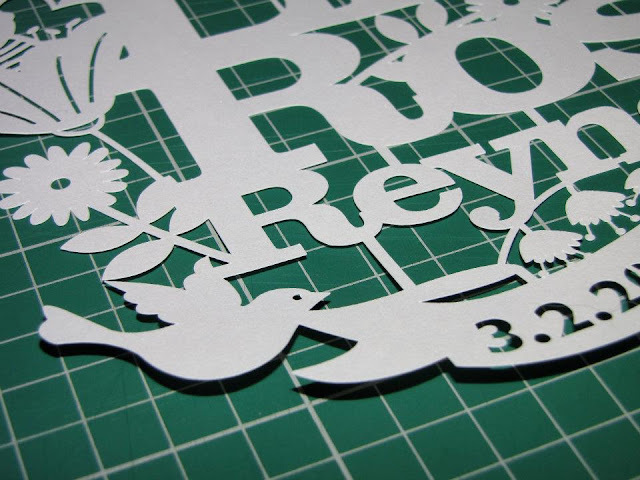 Oh my I absolutely love your work. How much do you charge for something like a baby name? 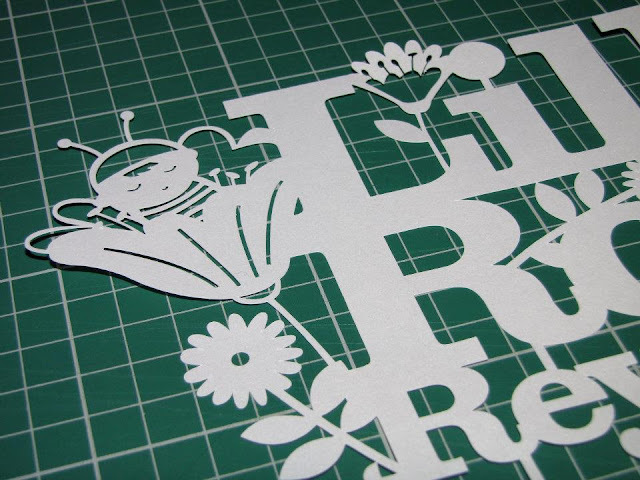 Thanks Joan. 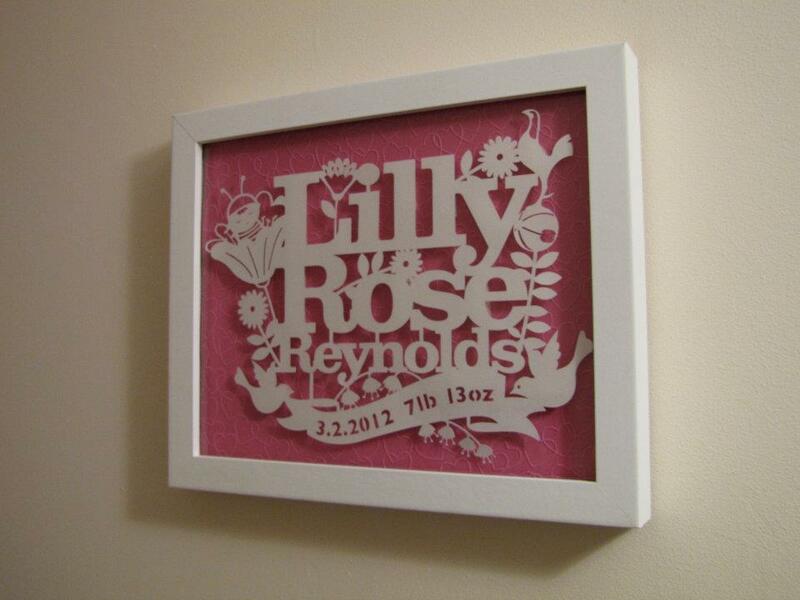 at the moment I only have one design in my shop and start at £25.